It seems like a lifetime ago now, but at the start of the year I contributed to a piece for Alt Reading, giving my wish list of what I hoped 2015 would hold for Reading’s food scene: a town centre pub doing top notch food; a decent little pizzeria; a tapas bar; a good Chinese restaurant; a cool tea room; a bakery in the town centre. If that sounds ambitious it’s probably because it is, but looking back I’m surprised by how much of it has come to pass. I Love Paella has set up down the Oxford Road offering a variety of small dishes and its eponymous seafood dish. Papa Gee turns out to have been there all along (for a decade!) doing a variety of pretty marvellous Neapolitan pizzas, among other things. C.U.P. has opened right next to Reading Minster and offers, hands down, the best tea selection you can find in town. We still don’t have a bakery in the centre, but Pop-Up Reading recently starting selling their own bread to those in the know at a variety of independent establishments across town. Call me Nostradamus! That said, there haven’t been a huge amount of openings this year, and those we have had have been small chains expanding to Reading: CAU in the Oracle, Itsu at the bottom of Queen Victoria Street. That trend looks set to continue next year when The Stable opens on Bridge Street and, if rumours are to be believed, Grillstock comes to Friar Street. 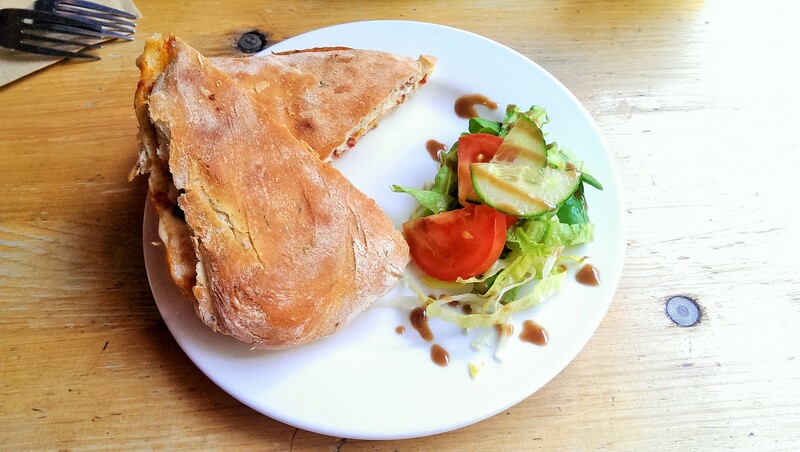 We’ve seen a few independents open in the town centre – most notably Manhattan Coffee Club bucking the trend as the Oracle’s only independent café and the owner of the original Chronicles trying to turn around that site under the Valpy Street moniker. It’s felt like a transitional year all round, and that probably reflects in the very low number of closures in 2015: so although it was the year we said goodbye to Tampopo, O Beirao and (without much fanfare) Master Naan, most of our independent restaurants are still hanging in there. Of course, you can’t look back on the year without doing a bit of navel-gazing, and it’s been a brilliant year here at ER HQ. I’ve travelled much further in search of good meals and been rewarded with some of the very best food I’ve eaten on duty (and some of the worst, but let’s not talk about that now). More people have read the blog than ever before, and I’ve appreciated every bit of brilliant feedback I’ve had, every comment, every Retweet, every suggestion and – particularly – every time someone has told me they enjoyed a restaurant they went to because of one of my reviews. On a personal level, I was particularly chuffed to be shortlisted for the Alt Reading award for Individual Cultural Contribution, mainly because it felt like recognition that Reading has a food scene to be cherished, celebrated and cultivated. I didn’t win (which is fair enough – Suzanne Stallard IS culture in Reading, after all), but making the final five still was a victory for all our independent restaurants and cafes. I’ve also really enjoyed seeing Roast Dinners Around Reading flourish this year and get more and more readers for his – syndicated, don’t you know – restaurant reviews. Reading finishes 2015 with more choice than ever before of where to eat and drink, and more help with making those choices too. Anyway, as is now traditional I’m taking my festive break. The weeks ahead will involve mountains of roast potatoes, huge stinky cheeseboards, crisps, peanuts, those big tubs of Twiglets, Mini Cheddars, red wine, mulled wine, dessert wine, port, sherry, bubbly, Snowballs (no, really), and – if I have anything to do with it – diving into a box of Matchmakers without having to share them with anyone else. I love restaurants, as you’ve probably gathered, but the festive season doesn’t show them at their best with all that picking from a special menu, having to preorder and winding up next to a big boisterous work do. I’ll be back on January 15th, by which time the vouchers will all be spent, the bad gifts will have been surreptitiously exchanged, half of the people who have tried to spend the month on the wagon will have leapt off it and, hopefully, you might want to read some restaurant reviews. Until then, settle back and enjoy this year’s award winners. Merry Christmas! Yes, I know they won it last year. And you can’t say there hasn’t been competition this year: I was very taken, for instance, with the halloumi, pesto and red pepper piadina at Siblings Home, a little tricorne taste sensation. 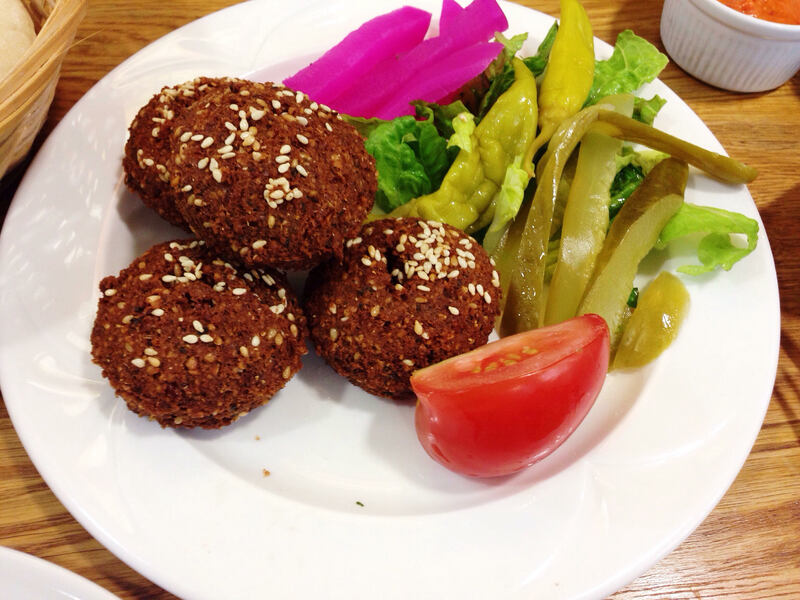 And although it might stretch the definition of “sandwich” just a little bit, Bakery House could easily have won either with their kallaj bil jibn or their arayes, being halloumi cheese and finely chopped veal respectively stuffed into their excellent Lebanese bread. But Shed’s Top Toastie has been my sandwich of the year – little intense batons of chorizo, all salt and spice, the vinegary heat of jalapenos and the comforting smother of lots and lots of mozzarella desperately trying to escape from their peerless ciabatta. Really, if you haven’t had one yet it might be the best New Year’s Resolution you could make. All my favourite starters of the year, with the exception of CAU’s superbly indulgent salt cod and manchego croquettes, came from out of town. West of Reading, I was an enormous fan of Brebis’ duck liver and foie gras parfait, perfectly glossy, smooth and rich. In the other direction, The Bell Inn’s pigeon and pork terrine couldn’t have been more different: coarse and rough and earthy, but equally delicious (and with the best pickled beetroot I’ve ever tried). But actually, you have to travel a little further still for my winner this time: Al Fassia is a lovely little place on a nice little street in Windsor and their chicken pastilla is a painstakingly assembled gem, an utterly delicious mixture of shredded chicken, almond and cinnamon, all wrapped in hand-made filo and baked in the oven. 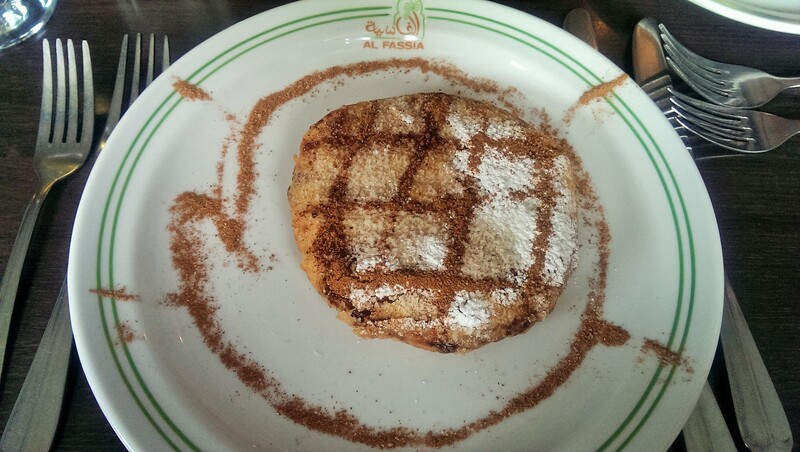 I didn’t taste anything like it all year, and thinking about it now it slightly makes me want to go back to Marrakesh. But it really makes me want to go back to Al Fassia. Bakery House’s achievement this year has been phenomenal – from a standing start partway through the year it now feels like it’s always been here. I’ve had countless Tweets from readers telling me that they’re checking it out and they always say two things: that the food is delicious and that the restaurant is packed. I’m yet to have a bad meal here, and I’ve been plenty of times. In a year when Reading got places like CAU (itself very accomplished, in fairness, and easily another candidate for this award) and Itsu and felt more like Zone 7 of London, it’s nice to see a place like Bakery House which is a match for anything you could find down the Edgware Road. Another honourable mention in this category should go to I Love Paella, but more on them later. This has been a huge growth sector in Reading this year. Some of the newcomers have been good, some indifferent, but the level of choice just seems to get greater and greater – to the extent where many people feel we’ve reached critical mass where coffee shops are concerned. Siblings Home, tucked away in Caversham, was one of my favourites in this category although their recent change of layout makes it less of a pleasant place to sit and while away the hours (it hasn’t stopped me buying all sorts of stuff from their shop though – lovely soap, I can tell you). I was also a big fan of Nibsy’s – it may be gluten free but when I was in there doing a serious assault on their quiche and cake it certainly wasn’t glutton free. None the less, Shed is still the one to beat for me: beautiful sandwiches, delicious milkshakes, excellent service from Pete and Lydia and a great spot upstairs to look out from those lovely big windows. And if you can get there on “Saucy Friday” (particularly for the Scotch bonnet chicken with rice and peas, coleslaw and macaroni cheese), even better. I had a lot of fantastic mains this year, and this category was one of the most difficult to judge. All so different, too, from the rich spiced comfort of the Crown at Playhatch’s bobotie to the stunning delicacy of Brebis’ butter poached hake, served on a perfect circle of crushed potatoes with a sweet sharp smear of lemon purée. Also seriously in the running was Beijing Noodle House’s duck fried noodles, an iconic Reading dish which I rediscovered this year, the culinary equivalent of bumping into an old friend and finding them on outstanding form. But my winner is the main course I’ve had more times than I care to name this year – perfectly cooked meaty monkfish, wrapped in parma ham and served with rich, salty squid ink pasta and plenty of shellfish. A proper, grown-up, indulgent dish. I’ve finished the year with a new-found admiration for vegetarians, and a better understanding of the sacrifices they make in pursuit of their principles. Heavens, I’ve had some dreary vegetarian main courses while reviewing food for Edible Reading. The awards are all about celebrating the good so we’d better not dwell on the blue cheese pasta with almost no blue cheese in it, big bland bowls of mushroom risotto or Jamie Oliver’s superfood salad which wasn’t. 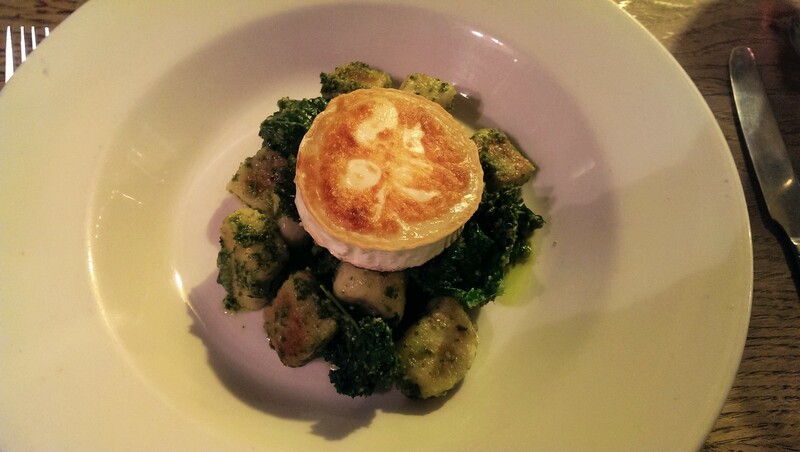 The redeeming feature was the gnocchi dish at the Bell Inn: absolutely stunning stuff, with little dumplings which were subtle not stodgy, a rich, fragrant kale pesto which blew me away and a nice big slab of caramelised goat’s cheese on top. It makes me cross that in a whole year of looking, I only found one main that could beat any other plate of food on meat-free merit. But what a main it was. Many of you may have noticed that I’ve never reviewed Mya Lacarte. For me, it would be like writing an essay on a novel I’ve adored for years – it wouldn’t be enjoyable for me to boil that down or do it to death, to analyse something it’s much more fun to love uncritically. But what I will say is that I think Matt and Alex at Mya are the perfect double act and either of them runs the front of house better than pretty much anyone else in Reading. That a restaurant has both Matt and Alex looking after customers is the hospitality equivalent of having Messi and Ronaldo playing on the same team; I’ve not had a visit to Mya this year that was anything less than brilliant, or a welcome that made me feel anything less than exactly where I belonged. Honourable mentions should also go to Brebis, where the service was utterly charming when I visited, and also to Dolce Vita (which still does a fantastic job despite losing a couple of its star players to C.U.P.). The moment I had the sfinci I knew it would be my dessert of the year: it was love at first mouthful. 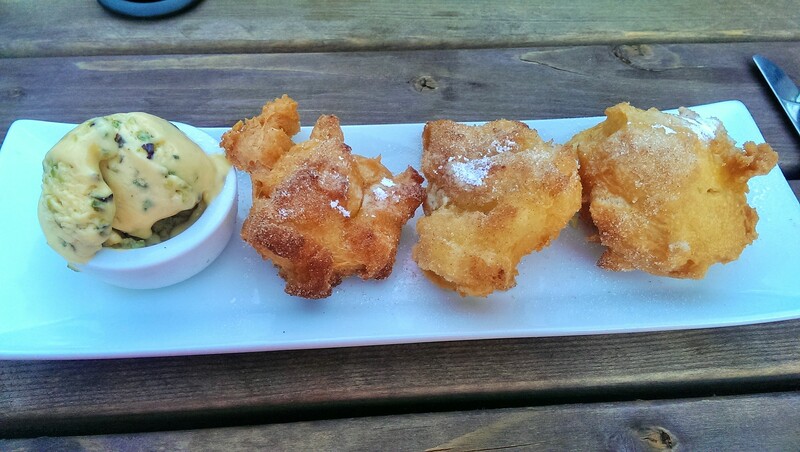 The lightest, fluffiest doughnuts with the crispiest exterior, little sugared joy-inducing clouds. The pistachio ice cream they came with was rich and nutty, but even without them the sfinci would have won this prize. I’ve had them every time I’ve gone back, and every time they’ve delighted me like it was the first time. So easy to make a good dessert from scratch like this, and yet so many places just can’t do it. But that’s the Bird In Hand all over – it’s run by someone who makes pretty much everything on site. And if it hadn’t won for the sfinci it would probably have won for the malt barley ice cream, which is the best ice cream I’ve had in this country. Also worth a passing mention is the Baskerville’s deep, rich, indulgent chocolate tart. My review of the Baskerville was a bit on the lukewarm side at the time, which is a shame, but they really did pull all the stops out when it came to dessert. I’m always surprised that many establishments don’t have Twitter, and those that do have it don’t seem to get it. It shouldn’t be hard: Tweet every day, tell people what you sell, put some nice pictures up and – crucially – give people an idea of the personality behind your brand. But somehow it never seems to work like that, so either you get something prosaic, regular but unengaging or there are flashes of likeable brilliance but it’s all very ramshackle, with updates a bit few and far between. Having blazed the trail in many ways over the years it’s no surprise that Picnic get this spot on – regular bulletins saying what the salad boxes are, showing pictures of the cakes, talking about the specials on Fridays and Sundays, but also showing an interest in Reading and its customers, even telling people to come in out of the cold or putting up pictures of its Christmas decorations. See? It’s easy. Or maybe it’s just that Picnic are very good at making it seem so. Either way, nobody does it better. I could have given this award to Bakery House. I think people would have applauded that: they do great food, they run a tight ship and they add an something extra to Reading’s restaurant scene in terms of top-quality, affordable, informal dining. Equally I toyed with giving it to Papa Gee, in many ways this year’s surprise package; who knew that we had a cracking pizzeria tucked behind the station doing quite nicely for over a decade completely under the radar? Again, I think a lot of people would have agreed – I’ve had lots of feedback from readers saying how delighted they were to discover the place. And, of course, my single best meal of the year on duty was at Brebis, so why isn’t Brebis the winner? The thing is – and I’ve learned this from reviewing them every week this year and for that matter last year – that restaurants are about more than food, or the service or even the room. They’re about experiences, about the magical alchemy that happens when all those elements come together. Last year, Dolce Vita won because although I’d had better food on occasion in other places, it remained the place where I’d spent my happiest evenings in 2014. This year, that place is I Love Paella. Watching it evolve over the year has been a real joy – from only opening at the weekend to opening weekday nights, moving from a narrower menu and starting to offer more tapas, more sharing options, more little dishes. The first time I went it was all about the paella and the empanadas. Those are still amazing, but now you get a selection of manchego, or some serrano ham on bread with a little smudge of tomato chutney (still haven’t had the chorizo stew, but there’s always next time). Service is always brilliant, to the extent that you could easily forget that it’s basically a one man band cooking in somebody else’s coffee shop. It’s a proper success story, and I sense that there’s still more to come. I live for the day when I go in to find they’ve found the space for a nice big leg of jamon, but in the meantime I hope they get even more of a feeling of permanence and keep evolving, keep trying things out and keep spoiling those lucky people down the Oxford Road. One of my biggest gripes about Reading is that there are limited options if you want a really good breakfast. I’m talking about crispy, smoked streaky, really good quality sausages, excellent toast, perfectly poached eggs and mushrooms by someone who knows how to cook them into sticky, salty perfection. Oh, and HP Sauce (I know some people like ketchup with breakfast, but then some people like Nigel Farage. It takes all sorts, I guess). Ironically, your best bets tend to be the chains. And they’re not too bad, I suppose – Cote does a pretty good breakfast, especially their French version with a generous helping of crumbly boudin noir. Carluccio’s used to be top of the heap for me with their resolutely Italian take – thin translucent strips of pancetta, gorgeous wild mushrooms and herby, soft scrambled eggs with ciabatta toast – although recently they’ve tried to Anglicise it by slipping in an incongruous banger. And if you like that sort of thing, Bill’s has a lot of fans, although I’ve always found their breakfast a bit underwhelming. Most of the independent places in the town centre fall down on the quality of their ingredients – bouncy sausages and pink rubbery bacon are the main culprits here – so I decided to act on a tip-off and drive out to a farm shop a short distance outside town. And it was going well until I bounded up to the counter only to be told that they’d stopped serving at 11.30 (brunch clearly wasn’t a word in their dictionary). Then I remembered that Picnic had recently started doing a Sunday brunch menu, so I did an about turn and headed back into town to give it a whirl. Picnic is the grand dame of Reading’s lunch scene. It was truly trailblazing when it opened way way back in 2007, and since then it’s been pretty much packed every lunchtime, serving sandwiches, their legendary salad boxes (which change every week, so you need to check their excellent Twitter feed for details), pasties and sausage rolls from Green’s of Pangbourne and all manner of cakes to the discerning populace. They had a refurbishment earlier this year which changed the layout and gave them more working space, and I got the sense that this was to enable them to try some new things – including their brunch menu, veggie burgers and a wider range of salads (they’ve even bought a slicer and are serving charcuterie in some of them). So has that gap in the indie breakfast market finally been filled on Market Place? Let’s start with the curmudgeonly, change-resistant bit: if I’m honest, I preferred the old layout. I miss the benches all along one side and all that space at the windows, looking across to Munchee’s and watching all the passers-by. Then it was cosy in an all-in-it-together way, now it feels a bit cramped and noisy and cluttered. Still, if it gives them a space to offer a top-notch brunch selection (among other things) it has to be a positive development, right? They don’t offer a full-on English breakfast, so instead I went for a bacon sandwich. Picnic’s menu boasts that this is locally smoked and you can’t complain about the quantities in the sandwich – the sort of thickly-packed stack of dead pig that would give the World Health Organisation conniptions. The bread was toasted granary and there was a decent smudge of brown sauce in it. It should have been perfect, but what let it down was that only the bread was hot; the bacon was warmish, and I got the distinct feeling that it hadn’t been cooked to order. 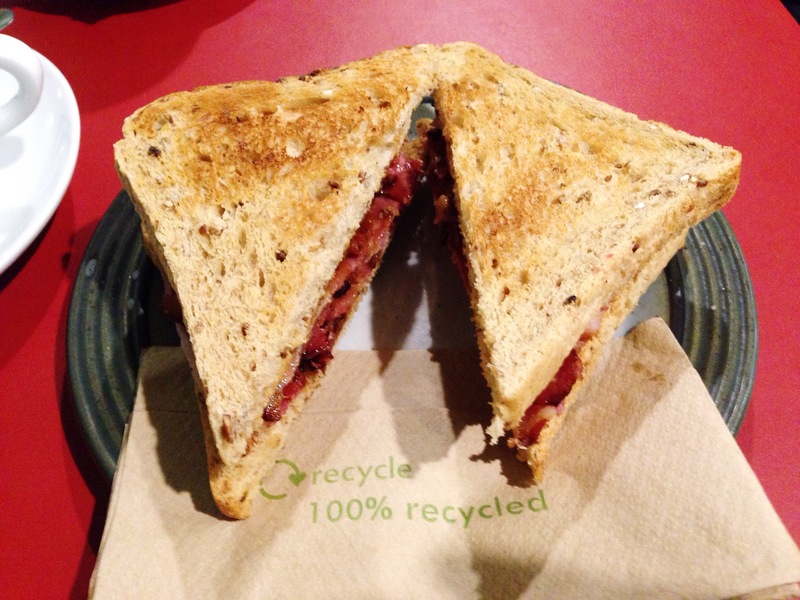 Perhaps this is unreasonable of me, but for me half the fun of a bacon sandwich is that the bacon is sizzling fresh off the grill and stuffed into the bread, juices melting into it, all crispy and piping hot. This sandwich was quite nice, but it wasn’t that – and if I’d known that I might have gone for something else. Oh, and the napkin had been unhelpfully stuck right under the sandwich (always a bugbear of mine). 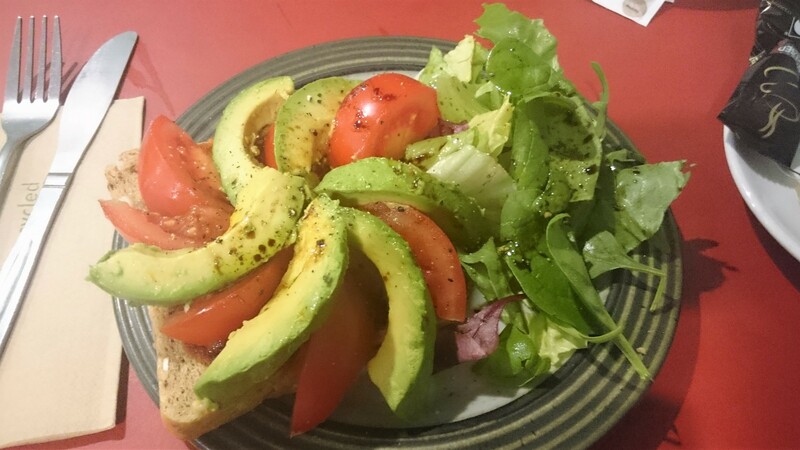 The other dish was avocado, tomato and harissa on toast. The London style of smashed avocado (with all the requisite extras like lime juice, fresh mint or chilli, all on a nice slice of sourdough) totally hits the spot for me so I fancied seeing what the closest alternative is out here in the provinces. The offering at Picnic was much simpler – a single piece of toast (granary, but thinly sliced enough to appear to be from a “normal” loaf, sadly) spread with harissa, with tomato and half an avocado fanned out on top. There was a bit of dressed salad on the side, which felt a bit like it was hiding the fact that there wasn’t much on the plate (and who has salad with brunch, really?). The avocado was a little on the firm side – I like it closer in texture to butter than potato, personally – and the tomato was just a bog standard round tomato but the harissa added an extra dimension. The chilli heat and the sweetness of the spices brought everything together and made it a bit more interesting (and it’s an idea I will definitely use in anything I ever get round to cooking at home) but still, it was half an avocado to which nothing had been done, some tomato and a one slice of bread, rather than the mashed avocado and sourdough I had ordered in my head. For a fiver it felt like it was bordering on cheeky. Still, at least they didn’t put the napkin under the bread. Brunch would be nothing without a nice hot beverage. Mocha was pleasant, though more chocolate than coffee, and Earl Grey was decent (but it’s hard to mess up a bag in a cup of water – though lots of baristas will have a bloody good go). Service is minimal because there is no table service, but the young ladies (and it is exclusively young ladies working here, except for the owner. He’s like Reading’s answer to Bosley) are really friendly, extremely helpful and very nice indeed and the tables here are cleared regularly, as you’d expect – but not always get – with a high customer turnover. The total bill came to just under fifteen pounds for brunch and a hot drink each. Not a huge amount of money, but perhaps expensive for what it was. Realistically, whatever I say about Picnic in this review it won’t make anyone go there who hasn’t, or stop any regulars from going back. Which is as it should be, because it’s a local institution which has done as much as anywhere else in town to shape the way people in Reading eat. And it’s still a favourite of mine for sandwiches, (goat’s cheese, honey and walnuts is one I keep going back to), salads (ditto for the peach, mozzarella and parma ham), soup (pea and blue cheese!) 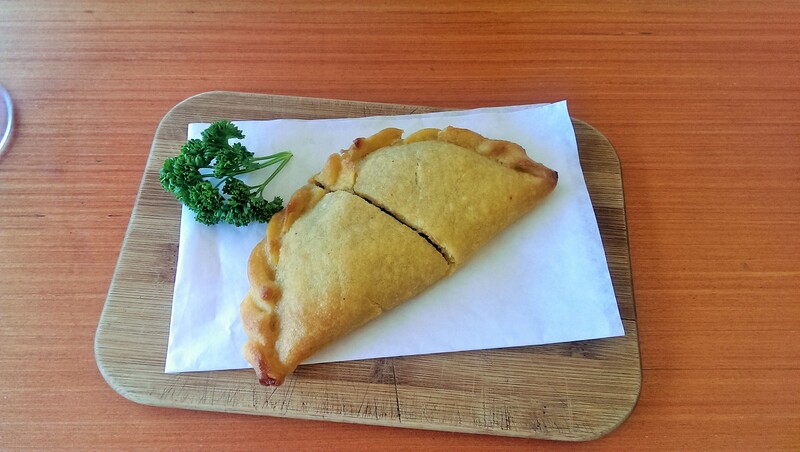 and the occasional shameful Cornish pasty. It’s tough being a trailblazer, because people expect you to keep doing it – and I know how they feel because, like Picnic, I was the future once. Perhaps, instead of being slightly critical about the food I should applaud the ambition, because despite finding the brunch a tad disappointing I can’t help but be impressed that, after nearly a decade, they’re still trying something new. I must confess, I’d been in no hurry to visit Miller & Carter. Why? It’s a chain for starters (with nearly 40 branches, though I had never heard of it before it opened in Reading). A Mitchell and Butler chain at that, so part of the big faceless group that owns All Bar Ones and Harvesters across the land, not to mention the likes of the Oakford and the Abbot Cook. Then there’s the basic idea of it: a steakhouse is all very well, but perhaps a bit limited if your idea of dinner extends beyond meat and chips. Last but not least, I was put off by the pricing – I struggled to get my head round the idea of paying over twenty quid for a steak when I could go to London Street Brasserie for their excellent venison with haggis less than a hundred metres away for roughly the same price. And yet, after all that, this week you’re reading a review of Miller & Carter. Why? Well, I’ve had it recommended to me more than once. Some people on Twitter told me they preferred it to CAU. Some restaurant staff told me it was where they liked to go on their rare nights off. And a friend of mine (who used to work in hospitality and is very particular) told me that on her rare date nights with her husband she often goes there to have the chateaubriand because they do it well and the service meets her exacting standards. Besides, sometimes it’s nice to do a review that doesn’t involve getting in the car or eating curry. From the outside it looked quite swanky but I couldn’t make up my mind once I got through the door. It was all stripes and velvet and oddly it was carpeted, which struck me as either a very ostentatious or foolish decision (there were a few chips smooshed into the floor which suggested it was the former). The overall look was somewhere between a business hotel and an airport Wetherspoon’s, but either way it didn’t scream upmarket in the way I was expecting. It was huge, too: the sheer number of tables screamed “I’m a chain” in a way which wasn’t hugely appealing. Some tables – with booths and banquettes – were quite nice, others were right next to pillars and slap bang in the flow of traffic. You can probably guess which I ended up at. I might be the only one who was unmoved by the interior, though, because I overheard a member of staff saying that they are fully booked every Thursday, Friday and Saturday in the run up to Christmas. The starters were slightly souped-up versions of dishes that you’d expect in a pub – chicken skewers glazed with bourbon, dusted calamari and cheesy mushrooms, for example – but a few sounded more interesting. 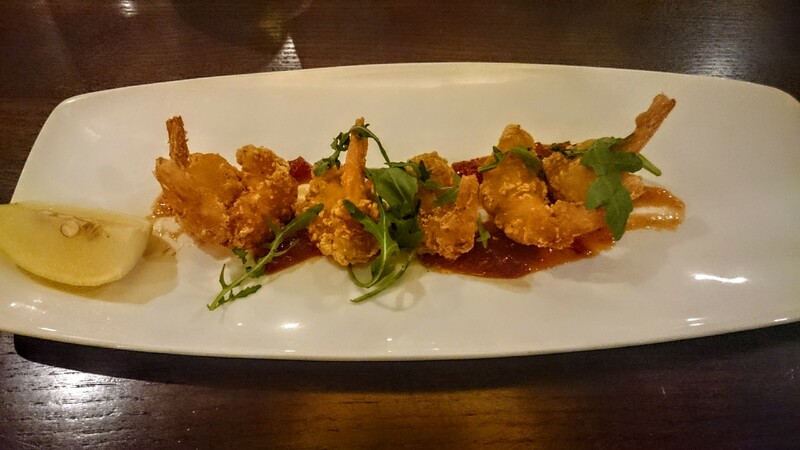 I went for lemongrass and chilli tempura prawns because I hoped they’d be light but tasty and, truth be told, they were pretty good. The prawns did actually taste of lemongrass and the batter was nice and light. I didn’t get much in the way of chilli but there was sweet chilli jam (which tasted like every sweet chilli jam ever) which helped. The prawns came with their tails on, which felt like an odd decision. I removed them with only minor tussles but felt like I lost a prawn’s worth of meat by not doing a decent job. It didn’t feel like it was asking too much to expect the kitchen to do that for me. Last but not least, there were some rocket leaves, wilting wanly, on top. That must have been a marketing decision (“you can’t send that out without some green on it!”) because it really didn’t add anything to the dish. So, nice enough overall but I did think I could just as easily have been in a Beefeater. The other starter sounded marvellous: ginger glazed pork belly bites with an heirloom tomato salad. Bites suggests tender little cubes of meat, whereas what turned up were three pale strips of pork – a halloumi tribute band, almost – with black char lines on them and a salad at the other end of the long rectangular plate. In fairness, it tasted a lot better than it looked. The pork was tender, the ginger glaze pepped it up and the salad wasn’t bad. So why, when I got to the end, did I have an overwhelming sense of is that it? It will come as no surprise to you that the main courses do rather dwell on steak, but there are lots of other options if you’re the kind of person who has to accompany a meat fiend to Miller & Carter because it’s their birthday, or because you’re making amends for forgetting your anniversary or suchlike. So they also do chicken, ribs, several fish dishes and – for the especially masochistic – three couscous and quinoa salads, one of which is the only vegetarian main on the menu. I feel duty bound to point all that out, but even so I ordered the steak because, well, it’s a steakhouse. Besides, as I’d had the chateaubriand recommended to me it would have been remiss not to give it a whirl (the fact that it leaves me with only one main course to review rather than two is, I promise, a happy coincidence). 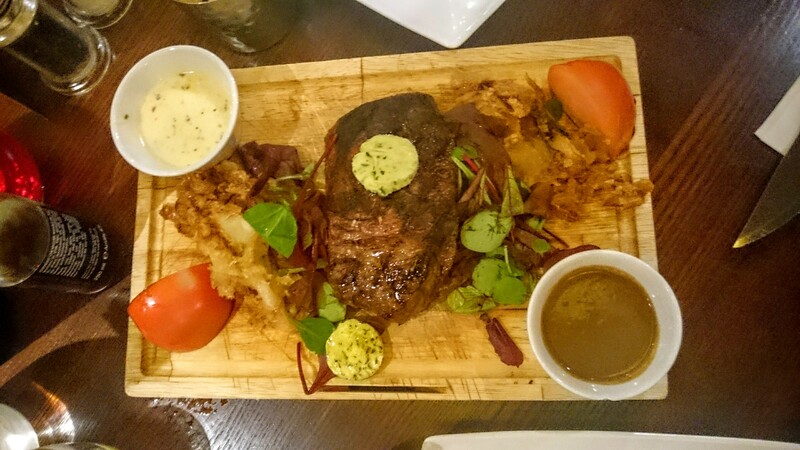 It came on a wooden board with two sauces, two metal beakers full of chips, some tomato which was allegedly “balsamic glazed” but which I’d probably describe as “tepid and raw” and some “onion loaf” which was basically a bhaji which had got into an argument with Chuck Norris. The meat was meant to be the star of the show and it lived up to its billing, cooked medium rare as requested, charred and caramelised at the edges and giving way to tender and bloody as you got closer to the middle (the very core – vegetarians look away now – was almost Turkish Delight in texture). It came unsliced which I appreciated, because in my experience when they slice it it just goes cold quicker (and anyway, I prefer dainty slivers of chateaubriand given half a chance – dozens of them, in fact). It came with two round pats of parsley butter which were quite nice but, oddly, didn’t show any signs of melting on top of the steak. I guess that’s because they’d rested it. The chips were adequate skin on fries, nothing amazing, but the onion loaf was beautiful stuff and infinitely preferable to onion rings which always strike me as greasy and faffy. The sauces were at opposite ends of the spectrum. My companion had gone for béarnaise, which was spot on, creamy, full of tarragon, not split at all. Sadly I plumped for the porcini mushroom and black garlic sauce which was sludgy and didn’t really taste of either mushroom or garlic. Never mind – I did distract my guest (“is that John Madejski over there?”) to dunk an occasional forkful in the béarnaise. The best of the sides, though, was the “lettuce wedge”. This was literally a big segment of iceberg lettuce, sat in a bowl with some dressing and a sprinkling of cheese (garlic and parmesan on one, blue cheese dressing and crumbled Stilton on the other). It sounds a bit seventies I know, but in amongst the meat and fat it was very welcome to have something fresh and clean which added a bit of balance to the rest of the plate. The wine list is quite a user-friendly one – most of the bottles under thirty quid are also available by the glass, although it ramps up after that. That said, I couldn’t help but compare it to the list at CAU, with its splendid range, and feel it was a little flat by comparison. We went for a one of the cheapest reds on the list, a bottle of malbec which was a touch over twenty quid and, in Miller & Carter’s defense, really very nice for an entry level red fruit, juicy and perilously easy to drink. I’m afraid we skipped dessert. I could say it was because we were stuffed from the steak (and it was a reasonably generous portion for two to share) but in truth it’s because the dessert menu, disappointingly, was exactly like a hundred other places. Chocolate brownie, sticky toffee pudding, crème bruleé and cheesecake were all present and correct, even with the smoke and mirrors of references to candyfloss and dark chocolate shards. Service was really patchy. Some of the staff were likeable and warm, but after sitting down we had to wait a very long time before anyone came to take our order. The irony: we were sat at an unlovely table in an unlovely spot, with a constant flow of black-shirted waiting staff going hither and thither, and yet getting any attention felt increasingly, frustratingly difficult. They were reasonably busy for a weekday night, but they weren’t that busy. The massive pillar right next to our table (the restaurant equivalent of living next to a mobile phone mast) didn’t help. The waiting staff didn’t seem to look after particular areas, so we were served by three different people, all with differing skill levels. That said, our “main” waiter, a charming Italian chap with a goatee was spot on, checking up on us and twinkling at our choices (and looking ever so slightly like Tony Stark, which entertained me no end). Also frustrating was the pacing – we spent ages waiting for our order to be taken, but once it was everything came out just that little bit quicker than I wanted it to. For a relatively pricey meal it really didn’t take that long before it was all done and dusted. How pricey? The total bill for two courses and a bottle of wine, excluding service, was just shy of eighty quid and this, for me, is where Miller & Carter really falls down. If you’re looking for steak, CAU is significantly cheaper. 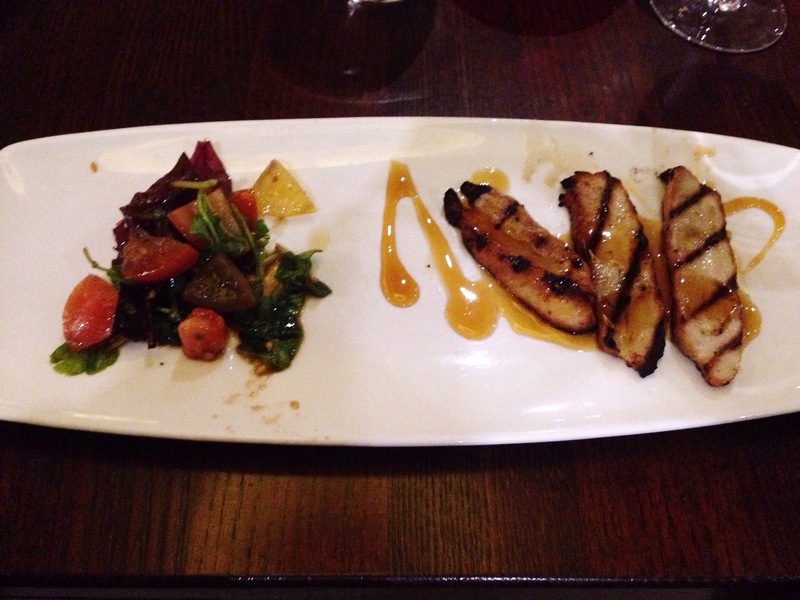 Not only that, but also the range of starters and non-steak dishes there is far more imaginative. On the other hand, if you’re just looking for an upmarket meal the money you would spend at Miller & Carter could go a lot further in so many other places – London Street Brasserie, Mya Lacarte, Cerise, even somewhere like Malmaison. So for Miller & Carter to compete it would really have to get everything right – textbook starters and beautiful steaks in a fantastic, exclusive dining room with top notch service. And, despite enjoying my chateaubriand a great deal, my evening didn’t come anywhere close to that. I can only think of one explanation for its popularity – it’s a menu firmly pitched slap bang at the middle of the comfort zone in a restaurant slap bang in the middle of the Oracle, never the dining choice of the risk taker. And that’s Miller & Carter in a nutshell: yes, you could do worse, but you could easily do so, so much better.